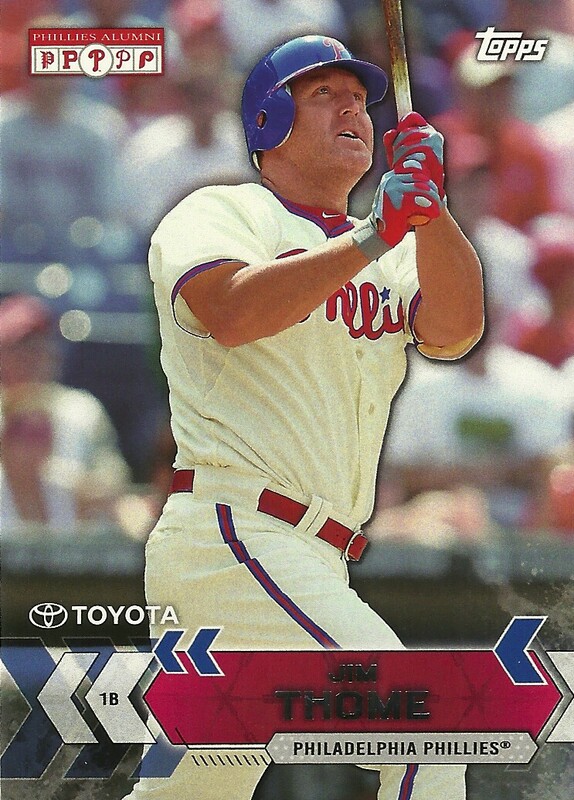 For the past several years, I've taken a look back at the Phillies-related baseball cards for each new inductee into the Baseball Hall of Fame. 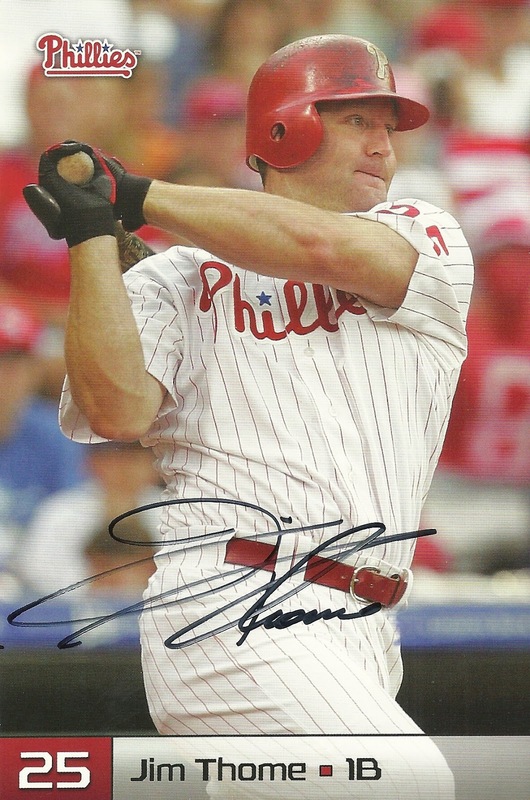 This year is a little easier than most with all-time great and Phillies Room Favorite Jim Thome joining the hallowed hall in his first year of eligibility. I'm lucky to have 267 different Thome cards in my collection, including this autographed photo card issued by the Phillies when they brought Thome back for a second stint prior to the 2012 season. Like most (if not all Phillies fans), I'm a huge Thome fan and our whole family was there in August 2016 when the Phillies inducted him onto their Wall of Fame. I know he'll most likely enter the Hall with an Indians logo on his hat, but I'd still expect a large contingent of Phillies fans to make their way to Cooperstown in August. Joining Thome in the Hall are fellow greats Vladimir Guerrero, Trevor Hoffman and Chipper Jones. 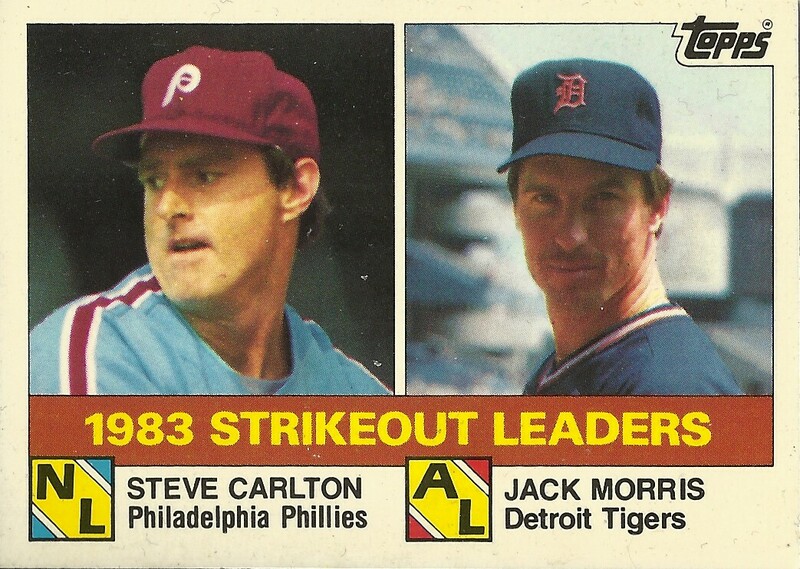 Jack Morris and Alan Trammell had been previously announced as inductees in December from the Modern Baseball Era Committee. 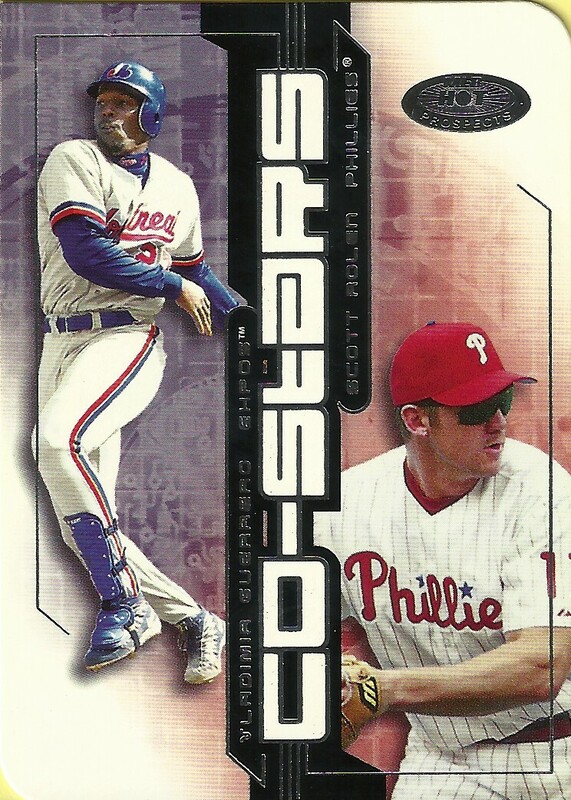 Here's a look at some of the baseball cards of these new Hall of Famers in my Phillies collection. Trevor Hoffman - No cards in my collection. 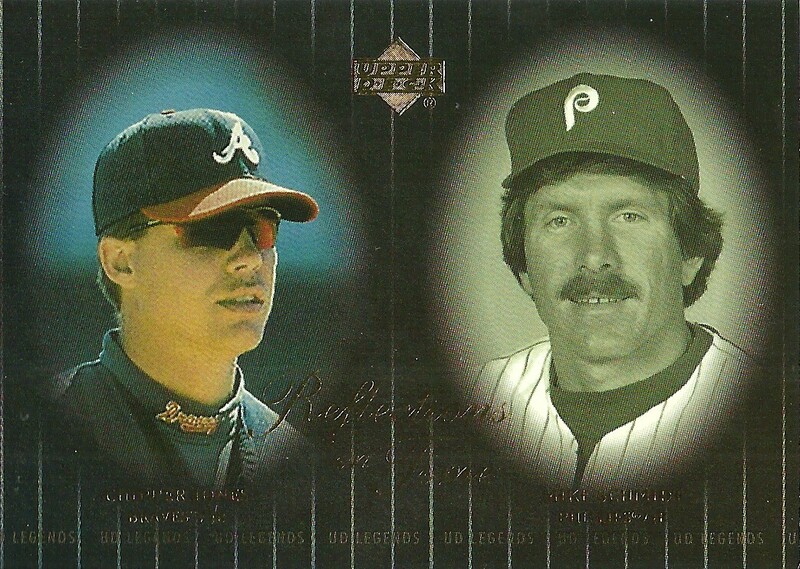 Chipper Jones - I have 11 different Chipper cards in my collection, all pairing him with either Scott Rolen or Mike Schmidt. Jim Thome - The most recent card in my collection is from last year's Topps National Baseball Card Day Stadium Giveaway set. Alan Trammell - No cards in my collection.